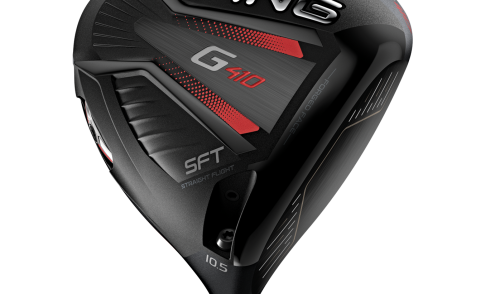 Travelling to golf tournaments by private jet has become very common practice for golf pros around the world with the likes of Jason Day, Jordan Speith and Rory McIlroy flying to and from events by private jet every week. 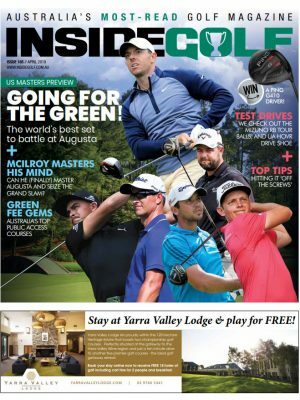 Since the arrival of Barnbougle in Tasmania and, more recently, King Island, Australian golfers are now also travelling to their dream golfing destinations like Rock Stars in private charter aircraft. And they don’t have to have Rock Star salaries to afford it. 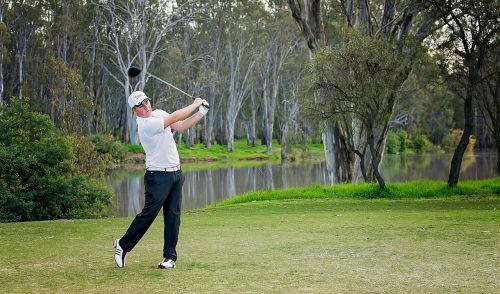 In fact, chartering an aircraft for golf trips to Barnbougle and King Island has become an easy and affordable way to travel in style to golf trips. Does the aircraft have turbine or piston engines? Turbines are higher performance, more reliable and therefore safer. Piston engines have many moving parts and are old technology. Does the aircraft have a pressurised cabin? A pressurised cabin means you can fly above 10,000 feet and in most cases over the top of bad weather. This means far greater chance for a smooth flight instead of bouncing along under the clouds. How fast does the aircraft fly? For example, some aircraft take just 45 minutes to Barnbougle and others take an hour and a half. How many hours’ experience do the pilots have? Companies’ minimum hour requirements can vary greatly with some having just hundreds of hours and others over one thousand. 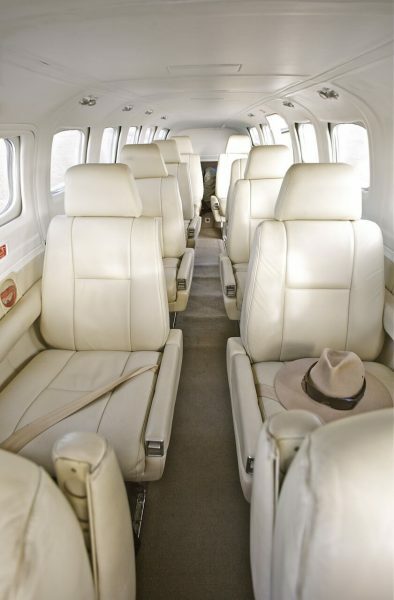 One airline that ticks all of these boxes is Air Adventure, a private charter golf tour specialist who operate two Cessna Conquest aircraft. 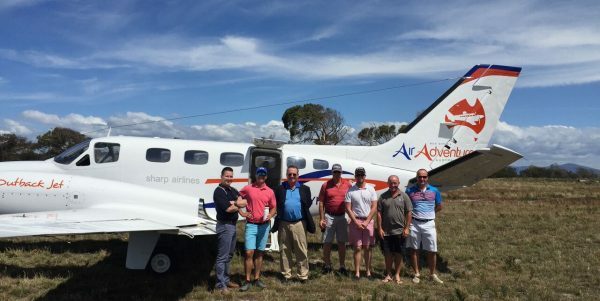 Not only do they have the highest quality and fastest private charter aircraft operating in the golf industry, they organise every element of your golf trip for you including accommodation, dinner reservations, golf and all on ground transfers. Air Adventure even own their own bus on the ground in King Island and once safely landing the plane, their pilot (with minimum of 1000 hours) converts to the bus driver and acts as the group tour guide doing transfers on the island everywhere from golf, dinner, the King Island Dairy and even the bottle shop if groups need extra supplies. golf plus accommodation. 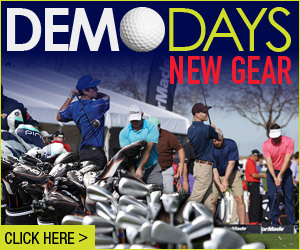 Prices are $595 per person (Day trip) or $880 per person (Overnight) and include airfares, golf, accommodation and pull cart and transfers to/from airport. 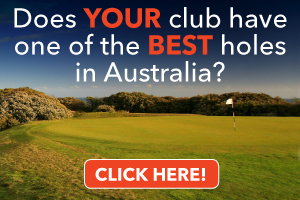 For golf tragics looking to add even more excitement to their trip, Air Adventure also have a three and four-day Barnbougle + King Island tour, which allows you to play three of world’s most remote, exciting and highest-ranking courses in one easy trip. 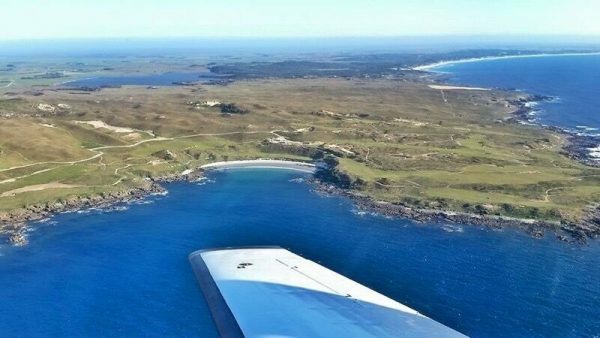 This trip includes flying directly from the fairways at Barnbougle Lost Farm to King Island. Pricing starts at $1790 per person and includes your private charter flight, two nights’ accommodation, three rounds of golf and transfers. 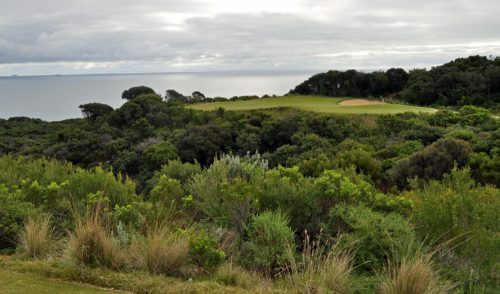 A four-day option with four rounds of golf is also available from $2075pp and has become the most popular option given you play three courses in the world top-40 plus Ocean Dunes which officially opens in September. If you are looking for a luxury, easy bucket-list trip, we recommend you contact Air Adventure and book yourself a golf trip in style!